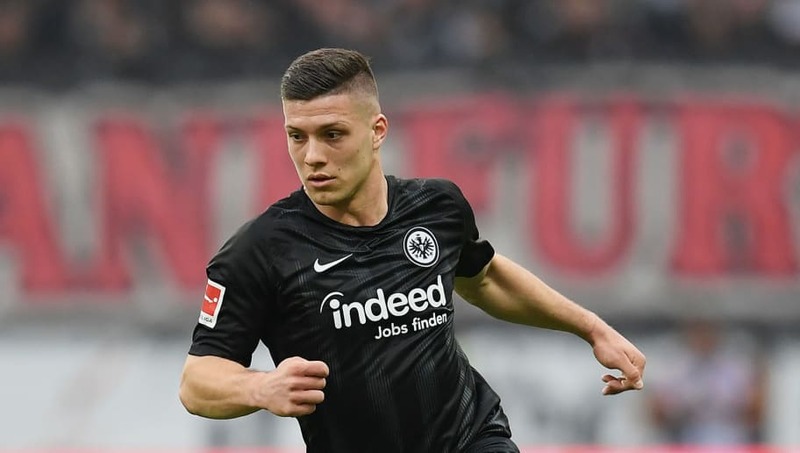 Barcelona have cooled their interest in Eintracht Frankfurt striker Luka Jovic ​and are now looking at cheaper striking alternatives this summer. Despite notching 23 goals and 11 assists across competitions this season, Barcelona are aware that at 32, Luis Suarez cannot go on forever, and are keen to bring in frontline reinforcements this summer. As one of Europe's top prospects, Jovic had been seen as the ideal replacement for the future, but according to Mundo Deportivo journalist Francesc Aguilar, this interest has cooled in recent days thanks to the player's high price and his reluctance to play backup to Suarez. On his official ​Twitter account, Aguilar wrote: "Another thing that's surprising is how the Luka Jovic links have cooled down. It's not that they do not like the idea of him, they do, but the Eintracht's Serbian would cost a lot and he is not very willing to be a 'substitute' for Luis Suarez. Barça are looking for cheaper alternatives." Jovic, who has been at Frankfurt for almost two years on loan from Benfica, has notched 24 goals and seven assists across competitions this season, propelling the German side to the Europa League quarter finals and fourth place in the ​Bundesliga. Otra cosa que sorprende es como se ha enfriado el tema de Luka Jovic. No es que no guste, que sí, pero el serbio del Eintracht costaría un pastón y no está muy dispuesto a ser 'suplente' de Luis Suárez de salida. El Barça busca alternativas más baratas. It is understood that Frankfurt, who paid around €200,000 for the two-year loan deal of the Serbian international, have a €7m option to buy clause within the contract that they are set to trigger, as his value continues to exponentially rise ahead of this summer. It is understood that ​La Blaugrana are seeking less expensive number nines, who can play backup to Suarez, though the links with Antoine Griezmann still persist despite the player's hostile reception at Camp Nou on Saturday.